↑ Li, Y; Wang, J; Hickey, AC; Zhang, Y; Li, Y; Wu, Y; Zhang, Huajun; आ अन्य. (December 2008). "Antibodies to Nipah or Nipah-like viruses in bats, China [letter]". Emerging Infectious Diseases. 14 (12): 1974–6. doi:10.3201/eid1412.080359. PMC 2634619. PMID 19046545. ↑ Sawatsky (2008). 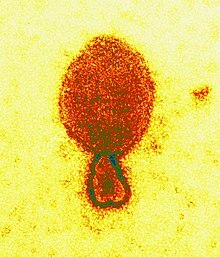 "Hendra and Nipah Virus". Animal Viruses: Molecular Biology. Caister Academic Press. ISBN 978-1-904455-22-6. ↑ "Nipah Virus: 11 Dead, Centre Keeps Close Watch on Kerala". The Quint (English में). पहुँचतिथी 24 मई 2018.